One of the most popular self-hosted ecommerce solutions, Magento offers extensive functionality for business owners who have online stores. With our one-click installer (Softaculous) included as standard with our Magento web hosting plans, it really is as easy as 1, 2, 3 to install Magento. 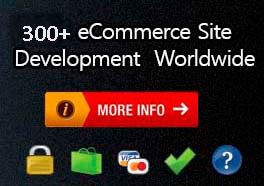 We offer a selection of Magento hosting plans, depending on the size of your website.